How do we make time for our writing? What are we prepared to give up in order to get it done? This is a crucial topic for those of us still wading our way through our latest novel, determined to get it done one day, but using the phrase ‘life gets in the way’ a bit too often. Well, one of my favourite bloggers, Joanna Penn, tackles this topic in her latest post here – do read it, in case it helps! One of the answers of course is to get away so you can focus, and that’s where retreats come in. WE often hear from our guests that they’ve written more or edited more in their week with us, than they have ever done. And that’s the aim, I guess, isn’t it? Unless you’re coming to learn something. We actually have a photography weekend coming up in April (three spaces left, and other halves can come for a reduction if they want to stay home and write). It’s also good to move your body, so Yoga weeks have got to be a good option. Stretching those stiff necks and shoulders and backs helps no end, and usually by the end of a twice-daily routine, I find I’m so much more flexible than I normally am, it makes sitting still writing for long periods even more attainable. 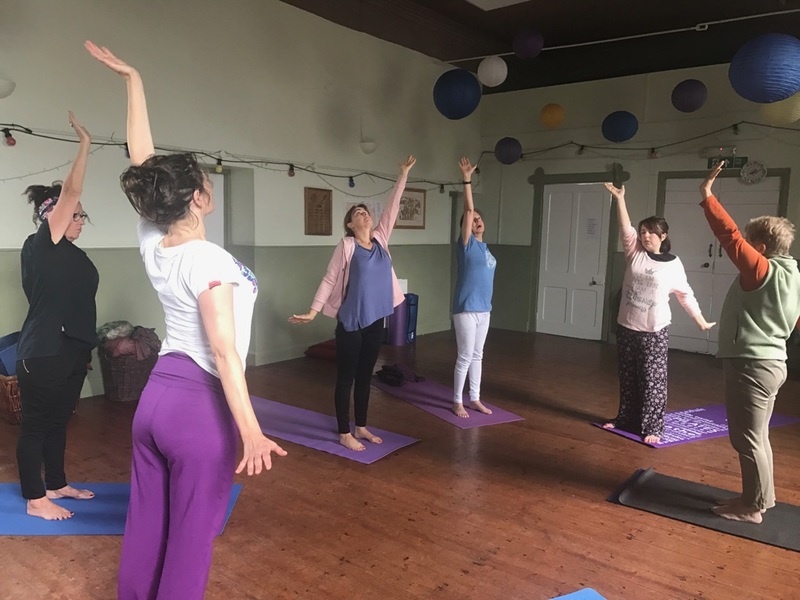 We have a yoga week in April (9th) but only two spaces left. Also the most recent guests took advantage of our orthopaedic cushions which helped to alleviate some of the pressure points whilst sitting for long periods. One of them said that returning to RFY meant she was relieved to discover that her three bug bears from last time had all been fixed – better chair to sit in, warm room as heating has been overhauled, and fast broadband! Another guest, Jane Idrissi had a lovely week too, it was originally a surprise from her kind hubby who bought a voucher from us which covered the deposit – let us know if you want to do the same! 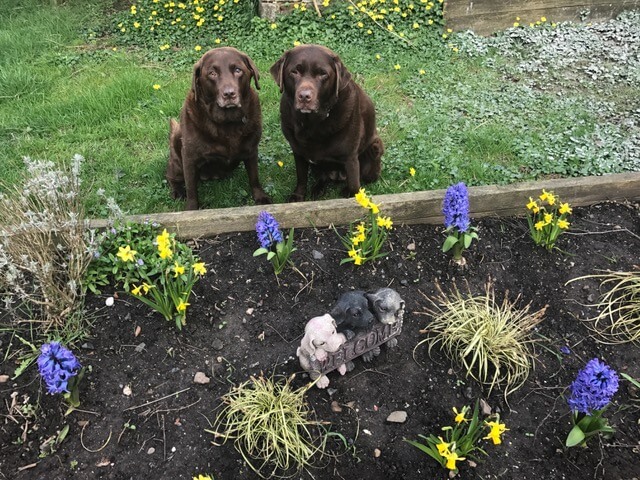 Lovely Marg Roberts who visited recently was very taken by the church and surrounding area as well as the facilities here – she wrote a whole blog about it! More here. Do check out our other 53 five star reviews on our Facebook page here. And do ‘like’ the page to hear our updates first. Of course if you want to learn something at the same time, often it’s great to take part in a workshop with an experienced mentor – something Julie Cohen knows all too well, hence her regular bookings with us, (including October 15th this year – book direct or email us for info) and elsewhere. As far as my own writing goes, one of my favourite retreats that I’ve been on with Julie has to be Chez Castillon in France – worth a look if you fancy a flight to Bordeaux and a friendly hound named Rory. And of course I found out about this place via Julie’s retreat here back in 2014. Well the refurbishments in February are all done now, and the plans are going in soon for two en-suites in bedroom 3 (Martin room, corner room) and bedroom 5 (Hewitt room) (see the rooms on the website here) It may be by the Summer, we’ll see how long it takes to get the permissions. As it’s a listed building it has to have the right consent to make alterations although it’s not really altering, more just adding. But what about the idea of a washbasin and a bidet for the other rooms? Any thoughts? We will continue the updating and I will keep you informed about when the bookings can begin for who will have the en suites for around £15 more pppn. Exciting times for the old place! Just a quick bit of news to make you smile – guess who I got a call from the other day? 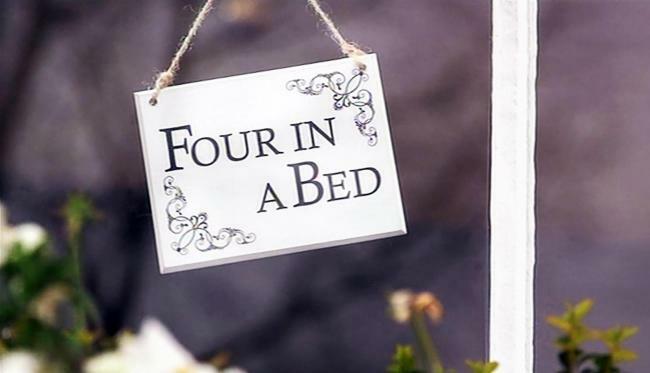 None other than Four in a Bed! 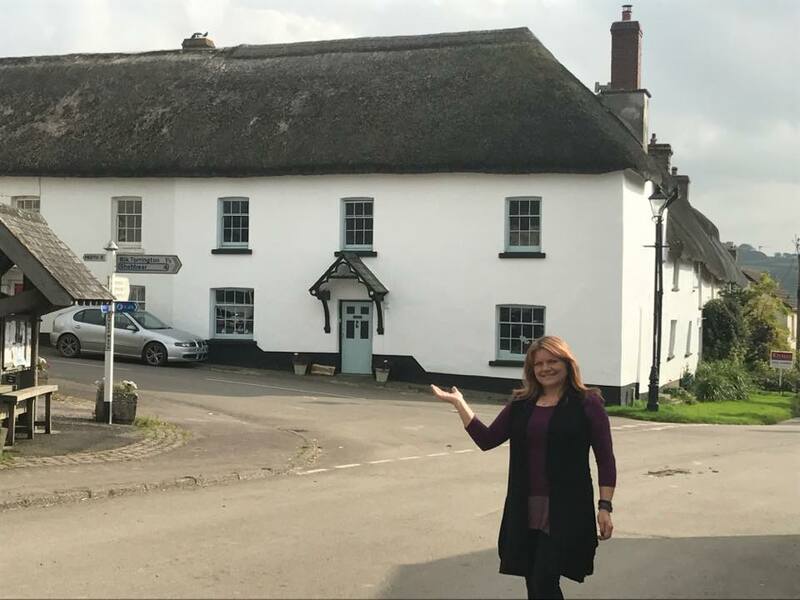 Yes, the famous channel 4 show, now in its 12th series, wanting to know if I want to take part in their bed and breakfast competition… Have you seen it? What do you think? Sheena, my lovely admin lady who deals with the nitty gritty of bookings, and sometimes helps out at the retreat, would be my ‘partner in crime’, visiting other B&Bs and awarding a mark at the end of the week. It’s quite a good show and features some real characters – fortunately not so contentious in nature as some reality TV contests, so we’ll see… Watch this space! Getting Published Day Writers’ Workshop are holding another Getting Published day at Regent’s College in London on Saturday. More here. HNS Day – bookings open now for this September’s Historical Novelists’ Society festival – this time in Glasgow. More here. 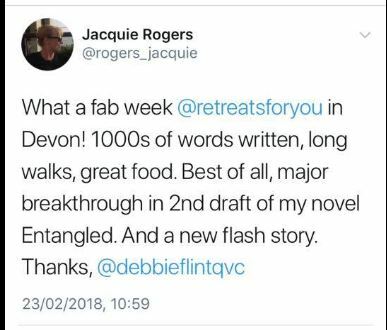 Go on a retreat, get your work in a paperback Amanda Saint’s latest addition to our schedule is in November, the Flash Fiction retreat – how about being part of a flash fiction workshop where your story ends up in a paperback? More info here. STOP PRESS ONE MORE PLACE on the ‘complex characters’ retreat being held here at Retreats for You in Devon on March 12, run by Retreat West. See her post for more info and book direct with Amanda here. 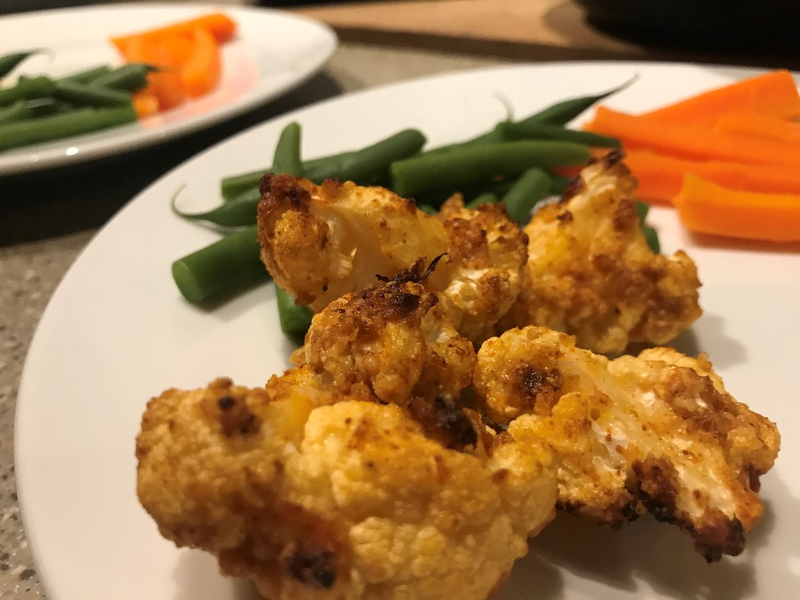 And finally, Wendy’s little delicious morsel is a tasty baked garlic cauliflower dish, which she concocted last month to the delight of me – and our guests! Just chop the cauli down into smaller equal pieces, drizzle with a tablespoon of oil, a teaspoon of paprika (one of Wendy’s favourites!) and a tablespoon of chopped garlic, and toss together then bake in the oven for about half an hour. Truly delish! Best wishes till we speak again! STOP PRESS! We now have just one place left for a ‘just write’ retreat for writers, 26th March till 30th (Good Friday). If you book now you will secure 2017 rates. £90pppn inc full board. 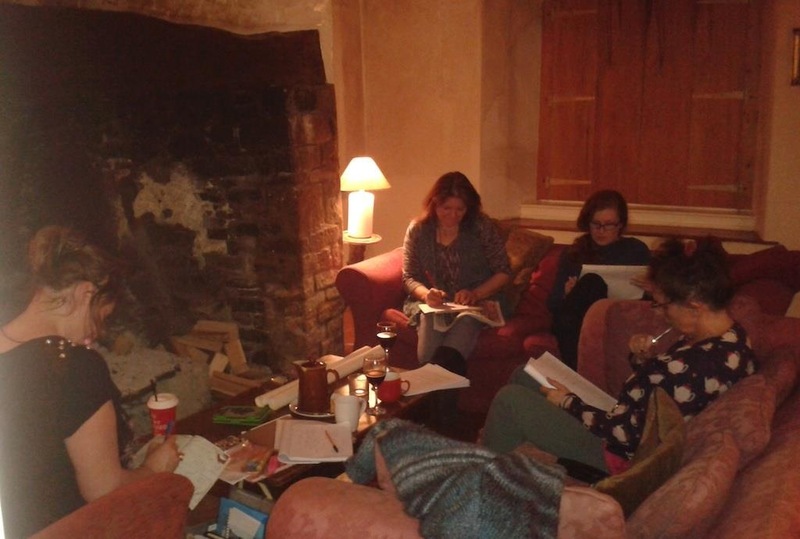 Also only one other place left in March, four night workshop from 12th March : complex characters writing retreat with Amanda Saint. Please check out the info on our website, where you can see the rooms and lots of pictures of what to expect! Contact us soon!